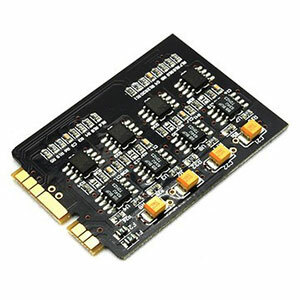 The HM-901 uses a dual Sabre ES9018 32-bit DAC setup (one for each channel) for decoding which, if implemented correctly, is on a much higher level than the previous Wolfson implementation in the HM-602/1 and the HM-801 series. The HM-802 series recently launched comes in slightly cheaper and uses a Wolfson setup. The Sabre ES9018 DAC chip is highly regarded, not the cheapest to procure relatively speaking and also one of the better DAC’s for jitter reduction, advanced digital attenuation and includes a spdif receiver. This particular DAC implementation will allow 16-bit formats (mp3, flac, ape, aac, alac, aiff, and wav) as well as 24-bit formats (mp3, wav, flac, and alac), with decoding for up to 192/24-bit files on the HM-901. Correct me if I am wrong on this but DSD decoding on the HM-901 will not be a future feature because as far as I am aware the ES9018 is not capable of decoding DSD natively. If and when DSD is a workign feature I suspect a flavor of PCM output is more likely even if it can ‘read or handle’ DSD files. 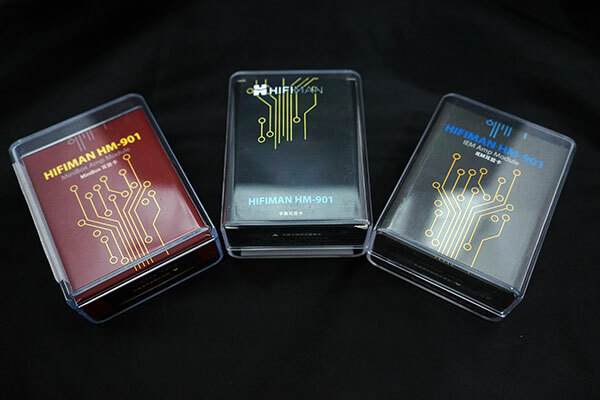 Hifiman have used this otherwise excellent dual DAC setup in combination with an amp modular card system (like the older hm-801) though to give up to four different flavors of sound and it’s this feature which sets it apart, in my opinion, from the other DAP’s out there on the market. Hifiman have tried this before with the module system on the HM-801 but this time it doesn’t feel like a tagged on feature. This time it feels more like what I mentioned right at the start, a system DAP. 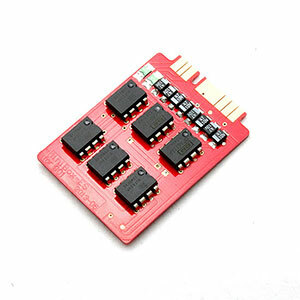 Right now there are 4 amp module cards: standard, balanced, Minibox and the IEM card. Each one is designed with a specific purpose and brings to the table a different quality. They are not cheap at $230 a card but you do have the choice of which one to get when buying the HM-901, the cheapest being the HM-901 with the standard card at $999. For those looking for a bit more control and less power at 33-65mW for more sensitive IEM’s the IEM card would be the default choice and those looking to run balanced (TRRS) and require more power then the balanced card is going to be the logical option reaching up to 477mW in maximum output in balanced high gain mode. The Minibox is a little bit harder to gauge based on the specs on where it naturally fits but it looks a bit similar to the balanced amp card except with 3 channels and is designed to produce an airy type sound with a better than average soundstage and good detail. Running the HM-901 with the standard amp card is pretty much running the HM-901 in stock mode. 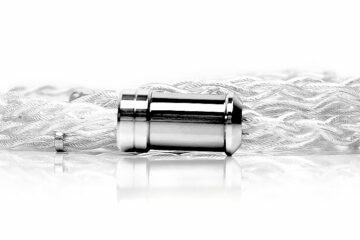 It sounds every inch a good high end player with excellent dynamics, a weighted bottom end with good detail, a relatively clean and neutral tonality with good transparency though not as warm or dark or tube-like as the older HM series that some people used to adore. At times that lack of warmth could lean to being bright on some poorly recorded, compressed or treble demanding tracks and whilst the soundstage felt like it conveyed decent depth it wasn’t nearly as wide as I felt it could be. Switching to the IEM card and the reduction in power (lower gain) gave me a bit more control with volume using my Merlins and the UE900 universals than the standard card. Mind you when I say a bit more control I topped out at around 4 on the pot before my ears started to take a pounding. If you don’t plan on using the HM-901 with headphones I would advise sticking with this amp card though oddly enough the UE900 did seem more power hungry on the IEM card than my Merlins and ran the volume pot about one notch higher. With the superior control came an added touch of refinement over the sparkier standard card and certainly not as bright though still staying largely neutral with a hint of warmth that I found more satisfying. Bass response from the IEM card was really excellent, not overdone, bloated or boomy – in fact very coherent indeed. 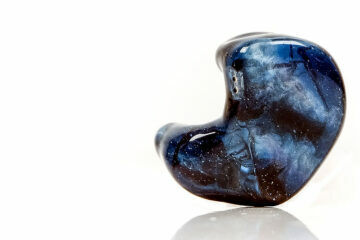 Soundstage is also noticeably wider with the IEM card than the standard card with a slightly more forward mid section. Importantly I experienced no hiss or background noise with both my Merlins and UE900’s during testing with the IEM card which will be a relief for users worried about potential high noise floor levels. Changing over to the Minibox amp card, but this time I kept my UE900 jacked in just to get a better point of reference in the differences between it and the IEM card. Again volume control dropped down a notch with the Minibox card but not as low as I thought it would be sitting just above 3 or 1-2 notches below the IEM card. The biggest difference between the Minibox and IEM is the sense of space and depth – it is an extremely wide and airy soundstage with a heavy emphasis on separation and ambiance. Vocals are slightly more sibilant on the Minibox card over the IEM card in my opinion with a slightly longer decay than the tighter and more focused IEM module but for surround effects the Minibox amp card is a lot of fun and I connected with this one for my portable low impedance and IEM’s the most over the review period. Saving the best, the most bombastic and the most powerful to the last is the balanced amp card. This is the “Goliath” of the four with the most power and the one that allows proper balanced output if you happen to be running your cans with a TRSS jack. I stuck with the UE900 again initially even though this is a power card just to get the same point of reference since I was moving from card to card quite a lot. This is a better card all round than the standard amp card with more power, a fuller richer sound with better dynamics yet still with that original core level of transparency and neutrality from the stock setup. The balanced card also moves away from the surround type flavor of the Minibox and presents a more conventional, accurate and natural sound stage that purists are likely going to prefer. If I had to pick one card as an audiophile with a mix of cans and IEM’s I would recommend going for the balanced card. Despite its power ratings you can get above average performance on IEM’s albeit with a slight loss of volume control as well as being able to throw in more demanding headphones without running out of juice as well as going balanced (TRRS). I would only suggest the IEM card if your 100% an IEM guy. The Minibox is a lot of fun, colored maybe and not as accurate or natural sounding, but that ambiance and super wide soundstage is really engaging and great to listen to when you just want to lose yourself for a few minutes.